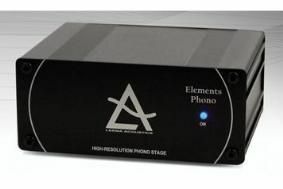 Leema launches baby Elements phono stage | What Hi-Fi? Its internal circuitry is closely based on that within its bigger brother. The Elements Phono is switchable for use with both moving coil and moving magnet cartridges and includes a switchable low-frequency filter. The low-frequency filter only operates below 20Hz to compensate for turntable motor or bearing noise, says Leema. The Leema Elements Phono is available now for £495.